Ciao a tutti! Sono Melissa “la studentessa matta”. Scrivo iI blog “Il Diario di una Studentessa Matta” per perfezzionare il mio italiano. I’m Melissa, the crazy linguist and I write a blog in Italian called “Diary of a crazy Student” to perfect my Italian language skills. If you had told me sixteen years ago that I would be so enamored by the language as to write a blog in Italian and lead groups in Italy to study the language, I would have said YOU were crazy. I don’t have a drop of Italian blood and didn’t grow up in a great big Italian family where my aunts, uncles and grandparents all spoke Italian. Instead my enthusiasm for the language grew out of my experience of living in Italy and interacting with Italians and falling in love with the Italian culture. I may not be Italian, but I have adopted Italy and her language as my own. Who would have thought that all this would come about by a single decision to join a college study abroad program back in 1982? When I originally signed up to study Art History in Florence, I knew I wanted to learn about Renaissance paintings and gaze adoringly at original works by Donatello and Michelangelo. I fully intended to explore every nook and cranny of the Uffizi gallery and climb to the top of Brunelleschi’s Duomo. I was also determined to spend long hours on Sunday afternoons sketching views of the Ponte Vecchio, while sitting on the banks of the Arno River. The one thing I didn’t plan to do was study Italian. Given my high school experience with German, I didn’t think I had any particular aptitude for languages. Apparently however learning past participles and prepositions were part of the package deal, so in addition participating in Art History seminars and painting classes, I was assigned to Italian 101. I recall that my teacher Paola, a plump woman with dark curly hair who loved the color red, found it a challenge teaching me simple Italian verb conjugations. During my time in Italy, I did manage to learn some Italian and picked up enough of the language to survive. I lived with an Italian family where I used phrases like “Basta!” to implore my Italian father to stop pouring more wine into my glass at the evening meal. I also perfected the response “Lei è molto gentile” to say to anyone who helped me out of a difficult situation. In retrospect, given that today I call myself “la studentessa matta – the crazy linguist”, it now seems absurd to me that during my semester in Florence, language wasn’t a priority. Indeed, one of the first things I did when I returned home was to throw out my Italian dictionary, thinking I would never need it again! But, life has a funny way of sneaking up on you, tapping you on the shoulder and pointing you in a new direction. Sixteen years after my Florentine adventure concluded, it seemed the impact of living in Italy was still weaving its magic over me. Upon returning home I went on to receive a Master’s Degree in Art History. I became a graphic designer and started my own design business. After a couple of years however, I began to feel that I was missing something, but I couldn’t quite put my finger on what it was that I was missing. Then I began to day dream about Italy, recalling my days in Florence. I began to remember vividly the sights, the smells, the art, and the people I had met. I thought I had closed that chapter of my life, just as I had closed the album filled with the pictures I had taken in Italy with my Kodak pocket camera. But, now I ached with “nostalgia” or homesickness for Italy. In Italian they would say “mi mancava Italia” or Italy was lacking to me. In order to fill the void, this “lack of Italy” that was making me yearn for domed churches and buildings constructed of pietra serena, I started casting about for ways in which I could renew my ties to Il Bel Paese. At that time, I had two toddlers, a baby and a husband who depended upon me, so packing up a suitcase and high tailing it to Italy for an extended stay wasn’t an option. Then it came to me! If I couldn’t return to Italy, I would make Italy come to me. The only way I knew how to do this was to start learning the language at home. 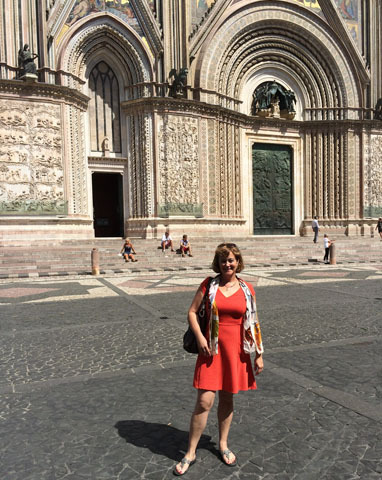 My decision to learn Italian filled me with energy and gave me purpose; instead of wistfully recalling past travel experiences, it gave me something actionable to focus my energy on. That was in 1998. Since then I have used every means available to me to become fluent. I have attended evening classes, participated in on-line chat groups and local Meet Ups, worked with private tutors and language coaches and I have even hosted an Italian girl in my home for a year. Over the past sixteen years I have discovered many wonderful tools to learn the Italian language. As the internet has grown, so have the resources for leaning Italian. Every day new videos, blogs and interactive websites are invented and I am constantly scouring libraries, books stores and the internet for the most helpful ones. I began my blog and podcast, as a way of capturing all this great learning information, as well as use as a platform to improve my verbal and writing skills. Through my efforts to learn the language, I found my way back to Italy. The blog has opened many doors I never thought possible and introduced me to so many interesting people. I have connected with Italians living in Italy with whom I am pleased to call friends, some even who seem like actual family. 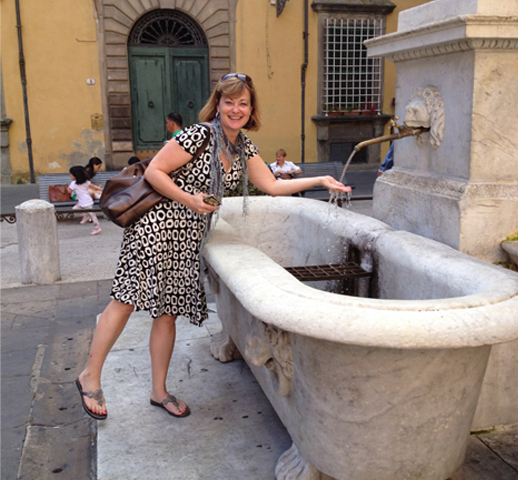 I have also enjoyed discovering others who are crazy like me about Italy and the language, just like Stacy! My quest to learn the language has also created new opportunities for travel in Italy. 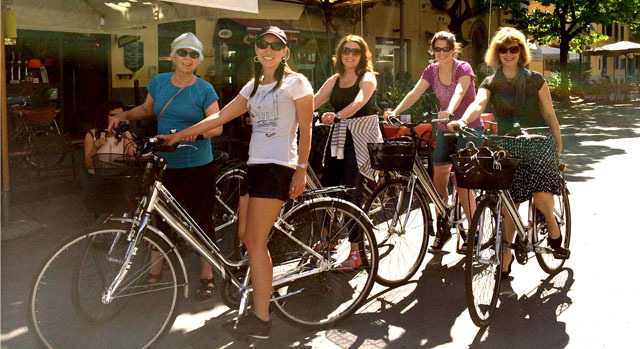 I now arrange language immersion trips for those who want to learn more about Italy and her culture from local Italians, as well as practice their language skills in a relaxed and friendly environment. Every journey begins with a single step, including the journey to learn a language. My crazy Italian journey began the day I stepped off a train in Florence in 1982. With each step my ties to Italy have grown stronger. As a result, the empty spaces inside of me that were “lacking Italy” have been completely filled. Now I have so much Italy inside me that I am full to overflowing and I want to share it with the world! My crazy great journey has taken me a long distance and I have enjoyed every step of the way. But, my journey is far from over and I can’t wait to see where my steps will take me next! Buon viaggio tutti! 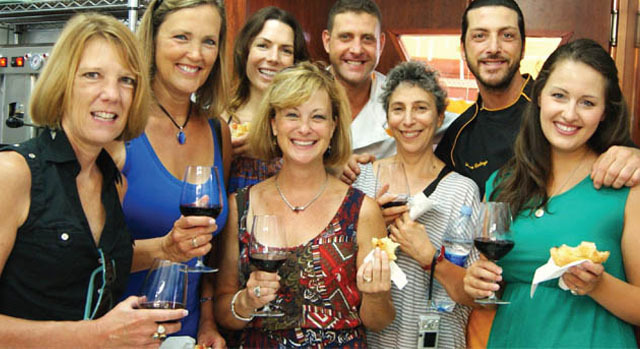 you or one of your friends would like to join me in Italy next year? Also be sure to check out the language learning tips under the tab “Ways to improve your Italian” for new ways and resources that will jump start your Italian language learning motors. 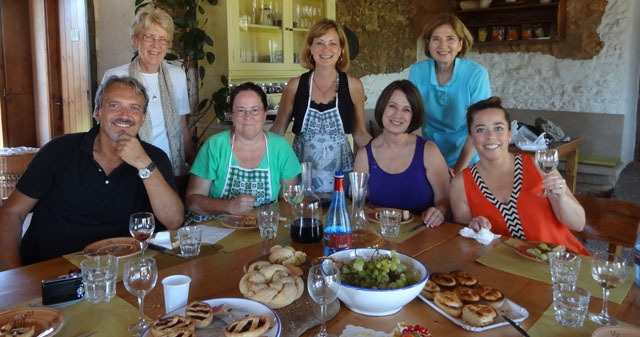 Melissa is organizing three trips to Italy in 2015, for more details on these amazing studycations, click here. Tags: finding your passion, Italian, Italy, Learn Italian in Italy, learning Italian, My Italian Story, Studentessa Matta, Study Vacations in Italy. Bookmark the permalink. Another great learning website is http://www.learnitalianwithlucrezia.wordpress.com. She also has a You Tube channel which is a great resource. Wishing you good luck. Keep at it, just a little bit every day!